The Rota Romana is the Vatican appeal tribunal that grants an annulment if it decides that a marriage is invalid. When the two lower courts reach different verdicts over the validity of the marriage, appeal can be made to the Roman Rota. For all its pomp, the Rota Romana has been found by the European Court of Human Rights to violate the right to a fair trial. work in which he generally urges them to restrict the granting of marriage annulments. on “pastoral charity”, that is, not try too hard to further human happiness. 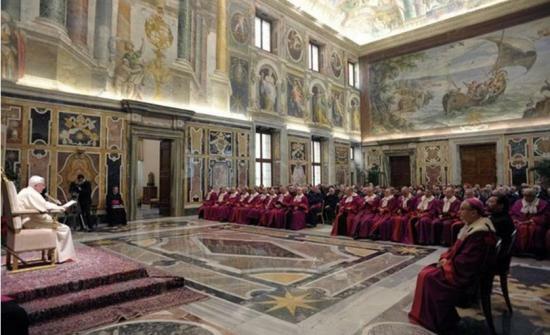 Technically, however, the European Court was obliged to fault Italy for enforcing the judgement of the Vatican court. This is because the Vatican couldn’t be censured for violating the European Convention on Human Rights, since it hadn’t signed it.